Prime Minister Theresa May was trying to persuade European Union leaders on Thursday to delay Brexit by up to three months, with her plans to leave the bloc in chaos just eight days before Britain’s scheduled departure. May will meet the 27 other national EU leaders in Brussels, a day after she wrote requesting an extension to the Brexit deadline until June 30. The bloc is weary of Britain’s political soap opera over Brexit. 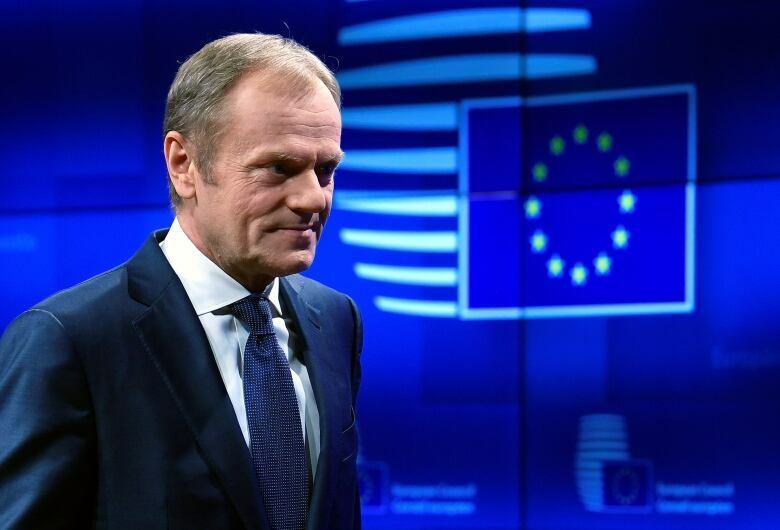 EU Council chief Donald Tusk, who is overseeing the summit, said a short delay should be possible, but only if Britain’s Parliament approves May’s divorce deal with the EU before the scheduled March 29 departure date. That is a tall order. The deal has twice been rejected by hefty margins in Britain’s Parliament, amid opposition from pro-Brexit and pro-EU lawmakers. May said lawmakers now face a “final choice” between her deal, a no-deal departure that could hammer the economy, and cancelling Brexit. But the prime minister angered many legislators with a televised speech late Wednesday blaming Parliament for the Brexit impasse. “Resorting to the ‘blame game’ as the PM is doing is a low blow,” he said. Main U.K. opposition Labour Party leader Jeremy Corbyn is also meeting senior EU officials in Brussels, trying to persuade them that Parliament can find an alternative to May’s rejected plan. “I believe it should be possible to agree a deal with the EU that secures a close economic relationship before the European Parliament elections,” Corbyn said.